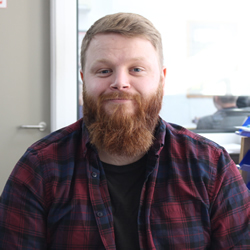 With over 5 years’ experience in the leisure environment in sales, marketing and customer service, Charlie co-founded Franklins Training Services in 2015. Seeking opportunities for his company to progress and grow even further, a year on, Franklins Training Services obtained the goodwill, fixtures and fittings of Franklins Fire and Safety and the company has been growing ever since. 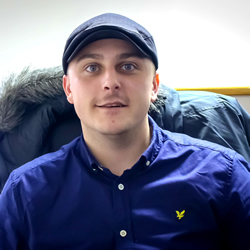 Nowadays, Charlie has taken on the bookkeeping of his business and is continuing his professional development by studying to become a fully qualified accountant. Being a keen football fan, Charlie likes to spend his free time following his favourite football team, Arsenal as well as spending time with his family and his beloved Doberman puppy, Daisy. Along with Charlie, Connor co-founded the company while he was also working as a carpenter. Having several years’ experience in a customer service environment and a craftmanship under his belt, Connor has joined the office team to ensure the smooth running of the diaries, that all of our clients’ training needs are fully met, and they are provided with training of the highest quality, as well as ensure that all staff are happy and working to their full potential. When he’s not in the office, Connor enjoys going to wrestling matches and doing his weekly wrestling training, listening to music, going to the cinema and most importantly spending time with his family and friends. Michelle is the heart and soul of Franklins Training Services, driving it forward every day. Previous to this, Michelle spent 16 years within the care sector, predominantly as a dental nurse and dental practice manager and uses the plethora of experience she gained during this time to ensure the successful running of the administration and training team. Michelle predominantly ensures our clients training plans meet their requirements and budgets and that our trainers have their diary checks and accommodation booked. Being fully aware of what the admin team is working on at any time, she makes sure that all tasks are completed successfully and in a timely manner and is always more than willing to go the extra mile to ensure customer satisfaction. 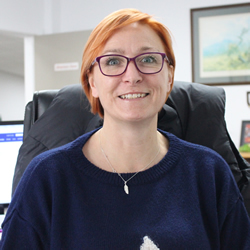 Outside of work, Michelle still never seems to stop working, however if she does encounter some spare time she enjoys horse-riding, reading and spending time with her family. 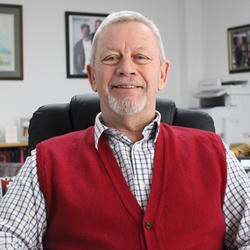 Paul is at the pinnacle of the Fire Safety team which comprises of 15 fire safety consultants all of which are either ex-London Fire Officers or serving Fire Officers some with more than 30 years’ experience. Originally an operational fire-fighter, leading fireman, sub officer with the London Fire Brigade, Paul left the brigade to join the NHS as a Specialist Fire Safety Advisor working for two large trusts in Essex and North East London, specialising in risk management. In addition to ensuring all training materials are interactive and in line with the latest legislation, Paul also carries out Fire Risk Assessments and the occasional training nowadays. In his free time, Paul is a keen Arsenal fan and enjoys going to his favourite team’s games, as well as spending time out in the garden and visiting family. Ben is an Operational fire-fighter with Essex County Fire and Rescue Service, with over 7 years’ experience within the service. Within this time, Ben’s professional development has grown enormously, having trained in Water Rescue and FPOSi. 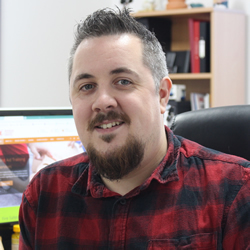 Having worked for Franklin’s before, Ben re-joined Franklins Training Services after a short break as the company’s Fire Safety Training and Development Manager, where he has put his new-found skills into practice by expanding his training Portfolio. Most of Ben’s spare time is currently taken up by studying for his NEBOSH NGC qualification and spending time with family. Izzy has been with Franklins Training Services since the company was founded in 2015. 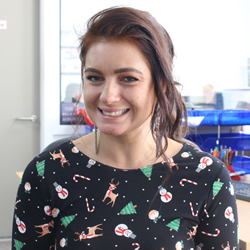 Having previously worked in customer service-based environments, Izzy started out at Franklins as an administrator preparing paperwork packs for trainers. With circumstances ever-changing, she soon moved on to different responsibilities and then working alongside Michelle looking after both clinical and fire diaries. This is when Izzy’s interest for clinical training was born and she started her professional development for the role she is currently in where she oversees the clinical diary, liaises with the training team and clients and, being the IQA for the company, she ensures the quality of the training delivered by our clinical team is maintained to a high standard. Outside of the office environment, Izzy enjoys spending time shopping, going to the cinema and attending Fitsteps and Zumba classes. Initially working in a customer service environment, Jason has chosen to start his career in coordinating events over 5 years ago. Before joining our team, Jason worked alongside Franklins, as a training coordinator at Care UK, one of our valued clients. As he was already familiar with everyone in the office and the work, Jason took the opportunity and joined Franklins Training Services in 2017. 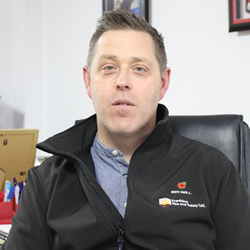 Being mainly one of the account managers for Care UK, Jason is steadily growing the client base he is looking after. In his free time, Jason enjoys spending time with his wife, Sophia and he is also a coach for the Killa Hurtz roller derby team. 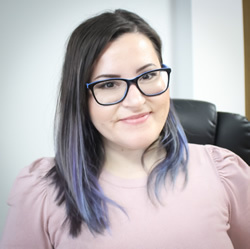 Leanne is the newest addition to the administrative team, she has several years previous experience in customer service-based roles and event planning. Leanne also has experience working within offender rehabilitation for Sodexo working in conjunction with the national probation service. Alongside this she has conducted social research on a variety of social issues/topics affecting: children, young adults, and elderly people. This includes, but not limited to, education, health and social and wealth inequality. Leanne is an energetic people’s person. Outside of work she enjoys keeping fit spending much of her spare time in the gym or partaking in various exercise classes and in the warmer months is part of a jogging group.